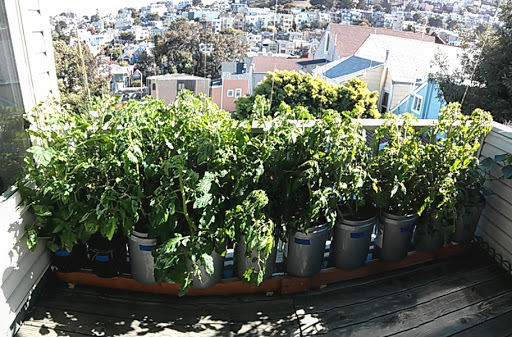 The weather has warmed up a bit and the tomatoes have started to grow more. I believe that prompted the flowers to finally open up. All the plants now have flowers that are setting. The Stupice plant (2nd from the left) got a nice aphid infestation, it seems like only a few generations have been born so far, and they haven’t moved on to other plants that much, but that’s a matter of time. I did a test spray of a soap/water solution to see if it harms the plants, and will do a more thorough soaking if things seem okay. Right now Stupice, SF Fog, and Bloody Butcher have tomatoes on them.